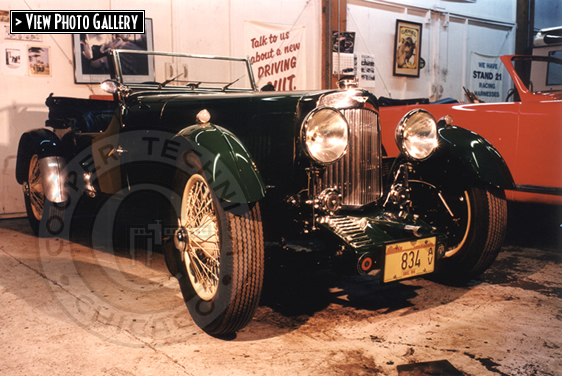 The Mark II, introduced in 1933, is considered by many enthusiasts as the finest pre-war Aston Martin, featuring a very advanced dry-sump engine and chassis design. Cooper completely rebuilt the engine, artfully saving the original innovative forged aluminum connecting rods by fabricating new custom bearings. At the client's request, Cooper replaced much of the rotted wood structure of the body without removing the aluminum skin or damaging the paint. Cooper also fabricated a new wiring harness for this car. 1934 Aston Martin Mark II SWB just completed. Cooper rebuilt the mercury capsule powered hood louvers to work as new. Engine Bay, instake side. 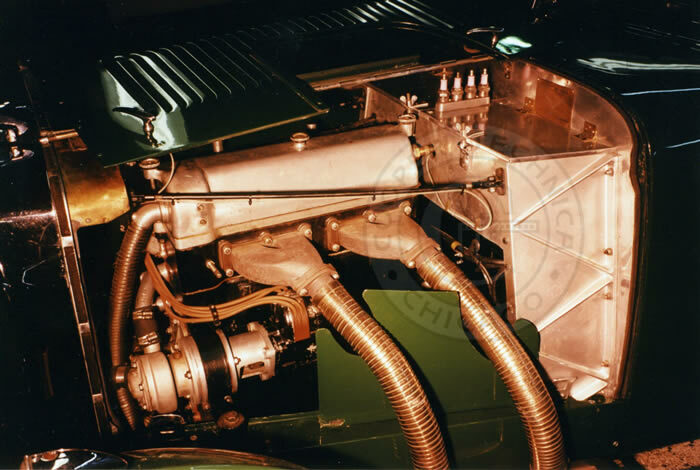 Cooper rebuilt the vee-shaped honeycomb radiator and original bronze body SU carburetors. Engine bay, exhaust side. 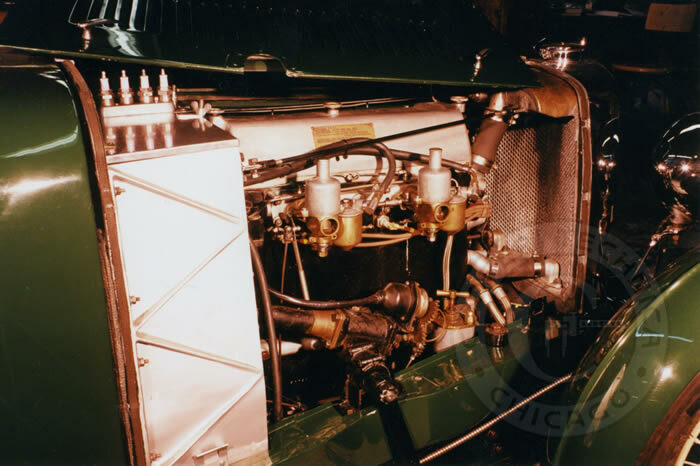 During restoration, Cooper re-welded a broken exhaust manifold and fabricated a new aluminum bulkhead support panel to replace the original broken part. 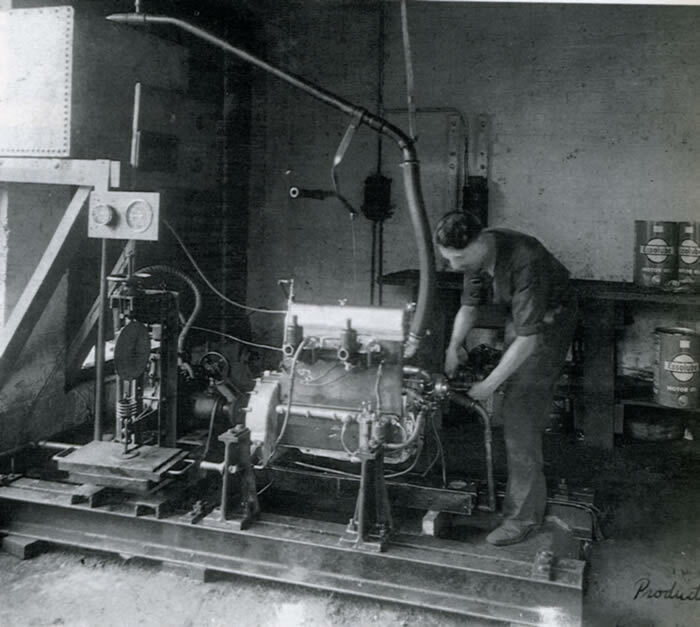 An Aston Martin Mark II engine on the test stand at the factory, circa 1933. Original factory photo. 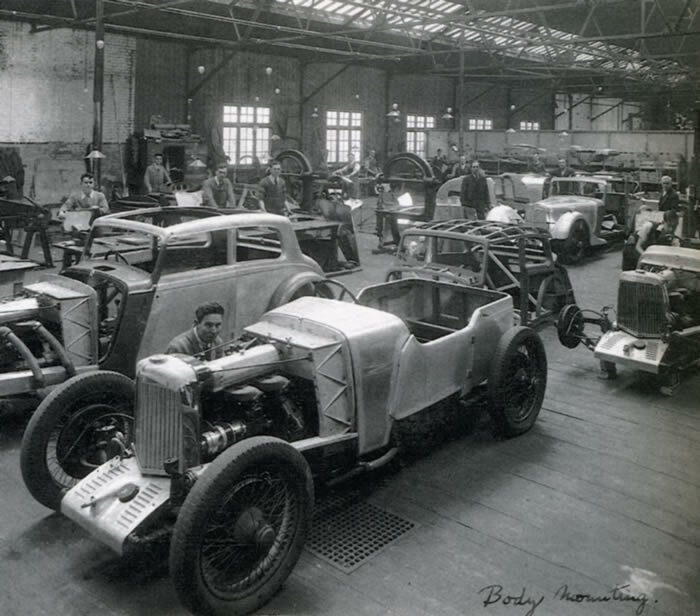 Mounting the body to a 1934 Aston Martin Mark II SWB, original factory photo.